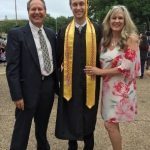 Beta Mu Chapter is pleased to congratulate 19 new May 2017 UT Austin graduates. 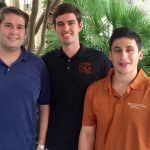 These young men have been big contributors to Pike and fully involved themselves on the UT campus and in the Austin community during their college days. Many in the group have already landed impressive jobs and are heading to firms including 3M, AIG, Hilltop Holdings, IBM, PWC, Snapchat and UTIMCO. 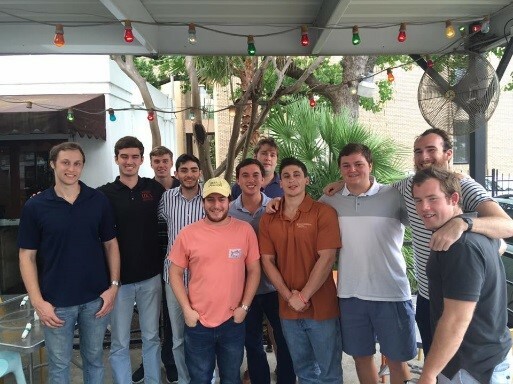 Beta Mu alumni enjoyed hosting a “Senior Send-Off Lunch” in their honor in mid May in Austin a few days before graduation. The alumni join their families in congratulating this class of scholars, leaders, athletes and gentleman! 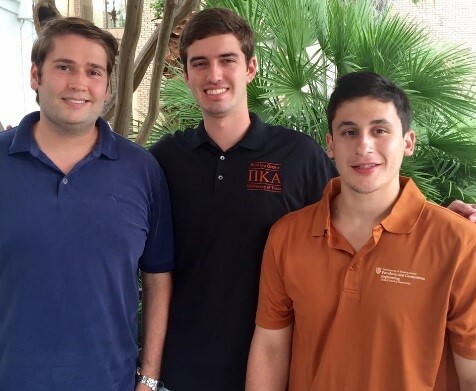 Ross Crutchfield, Nick Possis, and James Cassanova are proud new Texas Exes. 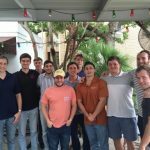 Congratulations to this group of Pike Seniors upon their May 2017 UT graduation. 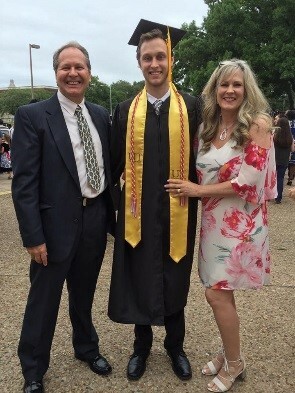 Computer Science major Sterling Hackley celebrated with his parents before moving to Los Angeles where he will join Snapchat as a software engineer.